This weekend at the writer's workshop one of the faculty was Steven Hind, a Hutchinson poet. Steven has published a number of his works and has an amazing command of the language, as most accomplished poets do. He mentioned William Stafford multiple times. Stafford was born in Hutchinson, Kansas, the town where I live. He's featured on a mural downtown, and his son, Kim, has spoken here more than once. 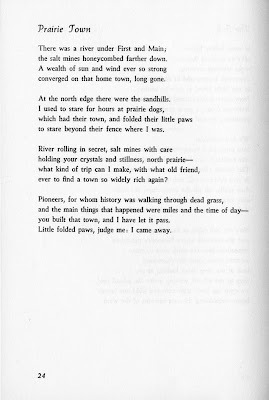 I was looking up something about Stafford tonight and found the William Stafford Archives, which are a treasure trove. Stafford was one of the most important poets of the 20th century and received the National Book Award. He wrote more than 60 books of poetry, and had well-formed ideas about peace, nature and education. One of the things I've always loved about Stafford is that he wrote every day. 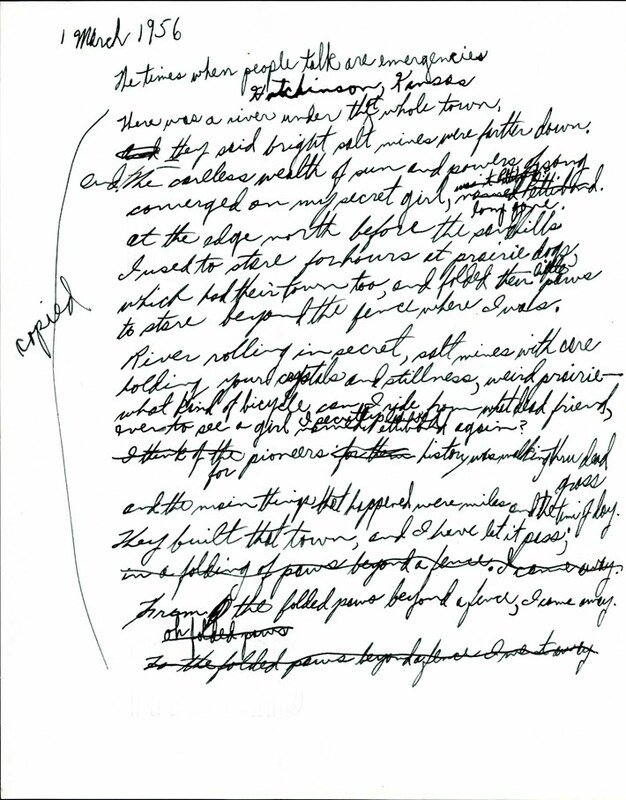 The website says, "Stafford wrote every day of his life from 1950 to 1993. 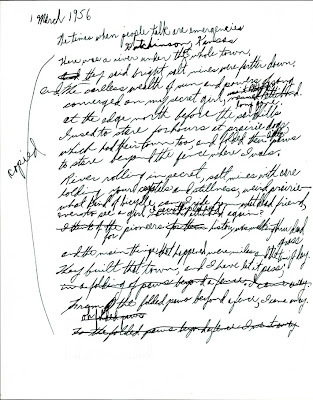 These 20,000 pages of daily writings form a complete record of the poet's mostly early morning meditations, including poem drafts, dream records, aphorisms, and other visits to the unconscious, recorded on separate sheets of yellow or white paper or when traveling, often in spiral-bound reporters' steno pads." They've done a beautiful job with the archive, showing each poem from its handwritten version to published state. I always love to see inside a creative person's brain. 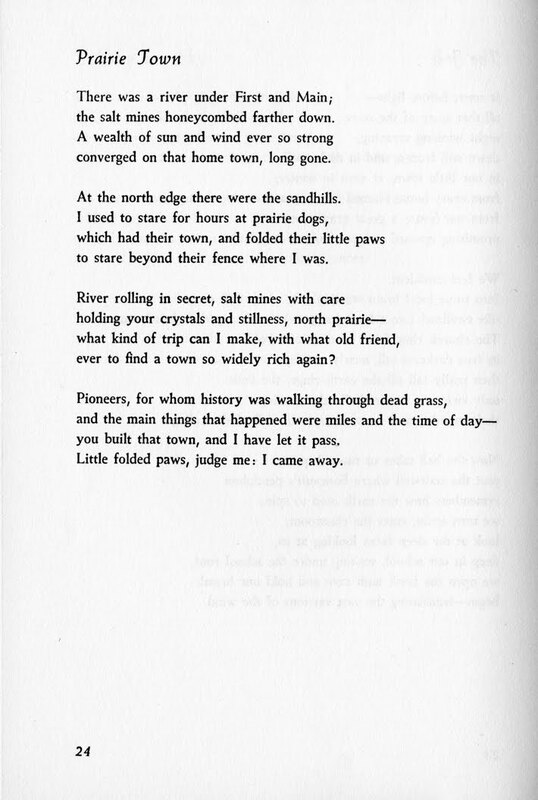 I didn't find the quote I was searching for, but ran across this poem, Prairie Town, about Hutchinson. The archive has more than 7,000 items, a nearly complete record from 1937 to 1993. Quite amazing. And we can all enjoy it with a few clicks on the computer.